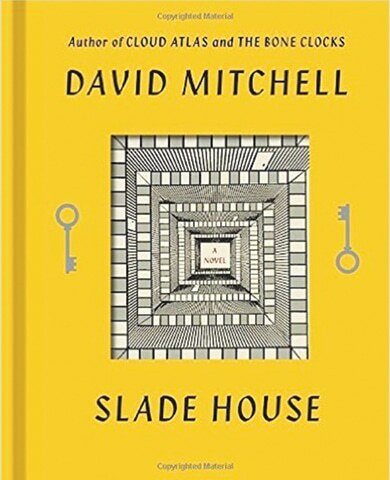 In Booker nominee David Mitchell’s latest novel Slade House (his second in two years), a pair of twin “atemporals” lure in and feed off the soul of an innocent every nine years, in order to continue their endless existence. Their home, or “lacuna”, is the titular Slade House, “a membrane between worlds” that appears in a dingy little alley in London only every nine years on the last Saturday of October, and only for this specific purpose. Norah and Jonah Grayer are energy vampires, chi cannibals, feeding off the life force and souls of those gifted with “psychovoltage”. But now the ghosts of their victims seem to be lingering, appearing as phantasms to warn the next person to be trapped in the house, somehow gathering more strength and an active presence. Slade House began life as a Twitter short story called ‘The Right Sort’, told in 280 tweets over the course of a week. This story, told from the perspective of an autistic child who has taken some of his mother’s Valium (Mitchell uses this as an explanation for Nathan’s short bursts of narrative, given the limitations of each tweet), is the first part of Slade House’s five point of view narratives. Each narrative is told from the perspective of a different person in a different time. Four of these narrators are victims of the Grayer twins, each of whom has vanished into the house every nine years, between 1979 to 2015. Nathan, a child who accompanies his mother to Slade House; Detective Inspector Gordon who is investigating the disappearance of Nathan; Sally Timms, a college student who is part of a paranormal studies group who are searching for Slade House and Freya, Sally’s sister and a journalist who wants to investigate her sister’s disappearance are each narrators of and victims of Slade House. The final fifth of the novel is told by Norah Grayer herself, as she attempts to lure in one Doctor Iris Marinus (a last name Mitchell fans will immediately recognise from The Bone Clocks and A Thousand Autumns of Jacob de Zoet), who is a psychologist studying paranormal abduction psychosis. Slade House, then, is a sort of The Bone Clocks spin off. It links up to the larger, more serious novel well but can easily be read as a standalone too. As with The Bone Clocks, Slade House features the Horologists, beings in human bodies who live forever and are reincarnated automatically if they die. They spend their days saving human souls from the Anchorites, who in this case are Jonah and Norah Grayer. Doctor Marinus explains the difference between the two immortal beings as Anchorites murdering for immortality, and Horologists being sentenced to it. 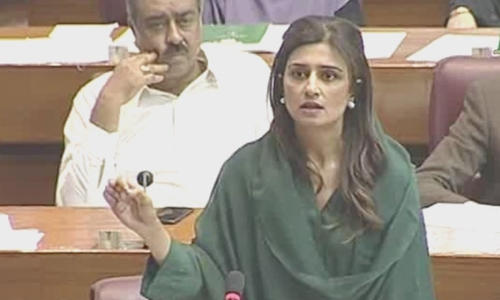 “Might is Right is nature’s way,” she says, “from such an array of vultures … from feudal lords to slave traders to oligarchs to neocons to predators like you. All of you strangle your consciences, and ethically you strike yourselves dumb”. But Jonah and Norah have been doing what they do for very many years — it’s going to take more than one Horologist to stop them. Ultimately, it is Jonah and Norah’s own ghosts who come hurtling back to weaken them. And immortals, as you can imagine, must have a lot of ghosts in their past. “Tonight feels like a board game co-designed by MC Escher on a bender and Stephen King in a fever,” says one of the characters of the Paranormal Society, best describing Mitchell’s latest novel too. Slade House is a subverted fairy tale, an infinity loop of a fable, a Mobius strip of a narrative — something Mitchell, with his massively popular and clever Cloud Atlas, is known for. It’s Hansel and Gretel, with innocents lured in to a seductive house only to be eaten by a witch, it’s Red Riding Hood straying from the path, it’s Sleeping Beauty waking up when she needs to feed off he who kisses her, only to fall back into a deep slumber until the next fools cuts through the thorny forest. It’s a myth — Persephone who eats the seeds and is trapped, Theseus in the Labyrinth with the Minotaur, but it’s also just as much the story of Jareth the Goblin King attempting to trap Sara in the Labyrinth. The narrative is also packed full of pop culture references — from TV shows like The X Files, to movies like Candyman and The Exorcist, to the classic literature of writers like John Wyndham, Tolkien and H.G. Wells, and even more recent popular phenomenon like The Da Vinci Code. That Mitchell is a well-read geek is no surprise — here is a writer who knows a lot about a great many things, a writer who has all sorts of ideas flying around his head and isn’t afraid to change tack or direction when it comes to his novels because he is deeply immersed in traditional storytelling before he is in any particular genre or form. There are many archetypal myth tropes that come in to play here — never stray from the path, never eat the magic food, never be seduced by your heart’s secret desire. But what’s really great about Slade House is that this is Mitchell having fun — something a great many mainstream literary successes often forget to have. This is a page turner, a don’t-read-this-alone-at-night, a fun, funny, no-holds-barred romp of a ghost story, albeit one that has something to say about humanity, immortality and if it’s even possible to save your soul. Mitchell has been on the Booker longlist five times, the shortlist twice. He’s never won, which is itself perhaps a testament to his readability and ability to be self-deprecating and open to influences of all sorts of sub-genres. Nathan, the first narrator of Slade House, tells us, “Mrs Todds my English teacher gives an automatic F if anyone ever writes ‘I woke up and it was all a dream’ at the end of a story. She says it violates the deal between reader and writer, that it’s a cop-out, it’s the Boy Who Cried Wolf. But every single morning we really do wake up and it really was all a dream.” Mitchell, though, never violates the deal with his reader. We already know to expect the unexpected. We already know the deal is there is no deal.